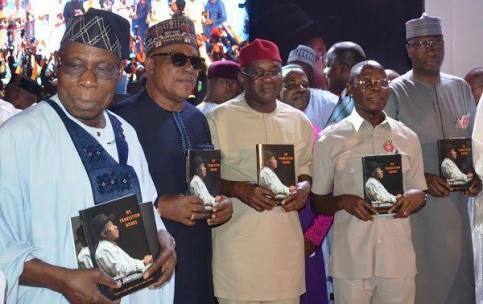 The echoes of the 2015 presidential election won by President Muhammadu Buhari reverberated on Tuesday as former President Goodluck Jonathan presented his book, ‘My Transition Hours,’ to the public in Abuja. Dignitaries that included former Heads of State in Nigeria and West Africa, former ministers and traditional rulers took turns to shower encomiums on the former President for conceding defeat in the election. Buhari was represented by the Secretary to the Government of the Federation, Boss Mustapha. 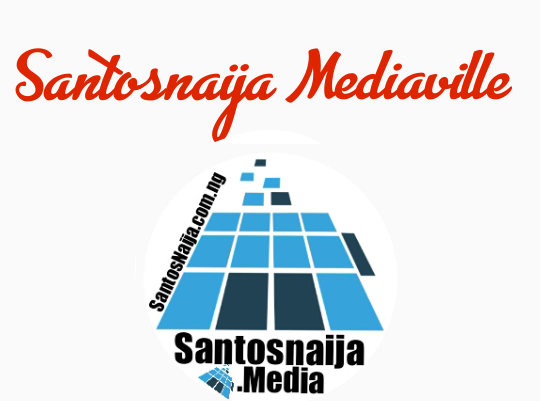 Jonathan himself admitted that some unnamed individuals both in Nigeria and outside the country expressed surprise at his decision. He said the people concerned kept asking him why he would allow the result of the election to stand without contesting it in court. But his guests took turns to commend him for the decision which they said led to the peace the nation currently enjoys. Jonathan said the twin issue of Boko Haram insurgency and the abduction of Chibok girls were used against him during elections. “The book reviewer has revealed everything and if you read the book, you will understand. The book centres mainly on the election. I mentioned some negative things, it’s like the life of an individual, it can be positive while it can also be negative. He added, “So, I commented on the Chibok girls, it was one of the points that was really used by politicians. Of course, I don’t blame them. Maybe if it was me, I would have done the same thing. I also took the issue of corruption so that young Nigerians will understand the issue, where it started if anybody knows. I have made some suggestions to encourage future governments to tackle corruption. Jonathan raised the alarm over the issue of vote-buying which he said had become scandalous in the country. He suggested a change in the way polling booths are erected as one of the ways of tackling the problem. “The issue of vote-buying is becoming scandalous in Nigeria. While inducing candidates is wrong and is criminalised in other countries, in Nigeria it is seen as normal and this is wrong. “My suggestion is that we should begin to look at the way we build polling booths, we should copy other countries that use public buildings like schools for elections. “So one school will be one polling unit and it will be easier for the police to police that unit and it will be difficult for someone who is in a classroom to show you his ballot paper since you cannot pay somebody until you have access to see his ballot paper. If we have a polling booth that you cannot access the ballot paper, then the issue of outright vote-buying will reduce,” he said. 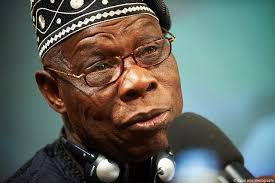 Former President Olusegun Obasanjo, who chaired the public presentation, urged Nigerians to ensure that they would not leave the nation and democracy to those he called thieves and hooligans. He said if the nation’s democracy was handed over to those in those categories, they could use it as a weapon against the people. Obasanjo said, “There is still no substitute for democracy when all is said and done. It fosters peace. It builds and does not destroy. It unifies, rather than divides. The former President recalled a statement credited to a diplomat that he preferred to live in Nigeria because if it appeared the all would collapse in the morning, things would be cool and calm by the evening. “Let us continue to make Nigeria cool and calm,” he said. Obasanjo congratulated Jonathan for enjoying a peaceful retirement. He said the post-office life which Jonathan was enjoying was one that all must crave for, describing it as a life of continued service to humanity. He said the former President had a residual responsibility to continue to serve people and God. 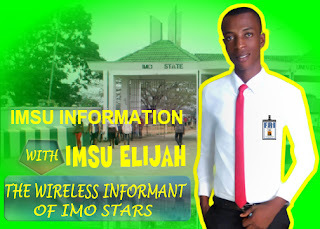 He also advised him not to be found wanting in serving his community, state, Nigeria, Africa and the world.